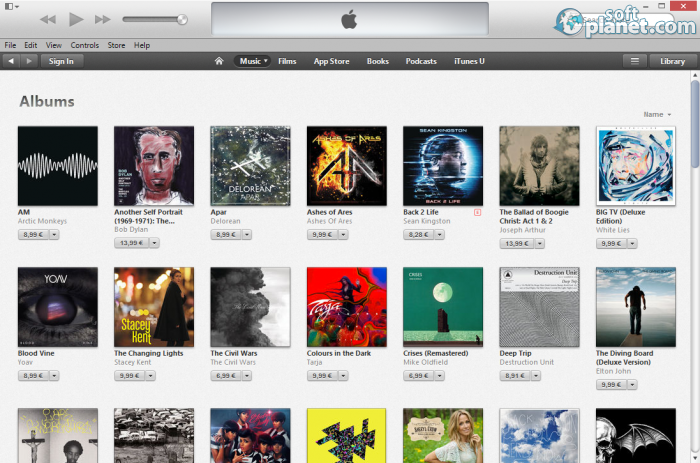 SoftPlanet makes it possible for everyone to get free iTunes download directly from our servers. There is no registration needed for downloading. Pay for everything and download everything. This can be inscribed on the Apple Inc. “coat of arms” below the bitten apple, because the only thing that you don't pay for while using iTunes 12.1.1.4 is the app itself. You can download it for free, but after that to download almost anything you have to pay, and prices vary a lot, according to the content that you want to own. But at the same time Apple offers a lot of things that you can download, like albums from various artists, films, including the latest, different books on various themes and a lot of other content that makes the store of iTunes very rich. After you download any of the files, you can play or read them with iTunes 12.1.1.4, a fact that makes the app multifunctional. The option to sync the program with different devices, with of course the easiest syncing process being kept for Apple devices, adds to this. After you create your collection, then you can make playlists and listen to your music in the selected order. You can do that with the integrated player, which has all the options that are needed, and with its controls you can Play, start Genuine Shuffle, Play Next or Previous, Increase or Decrease the volume, add subtitles and other functions, which are standard for most players. We can definitely say that the interface is the best feature of iTunes, as it is a known best feature of all Apple products and devices. Everything is moving swiftly and smoothly and you don't have to wait much to open even pages that are extensively populated. The list of albums which are offered, for example, is very long but the browser of iTunes doesn't load it in several seconds. 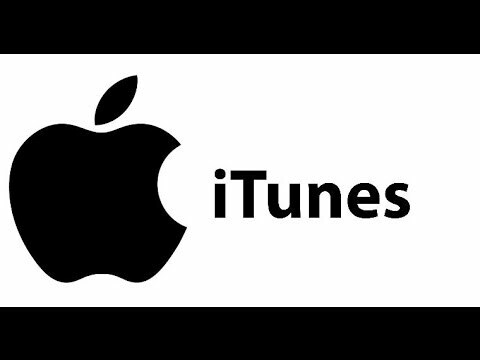 It's best to say iTunes browsers, because actually the app connects with the website of the iTunes store and from there you can purchase all that you've liked, as long as you have created an account and after you've linked your credit card with the system. Then you can start buying all that you want to the satisfaction of Apple Inc. But all will be played in an app that will look as you want it to, because you can change it from the View menu, and also you can use the app in a lot of languages. After you start the app it offers to scan for media files that you already have on your PC or to enter the Store. Then you can adjust the languages from General Preferences and also change the Crossfade, Sound Enhancer or make a Sound Check. Besides that you can change the language of the audio and the subtitles and set Preferred Video Version. 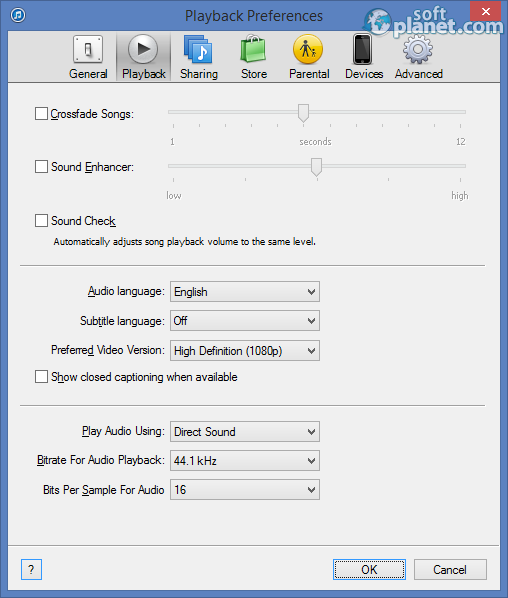 You can set the audio to play as direct sound or like Windows audio session, also adjust its bitrate and bits per sample. There are a lot of other tools with which you can customize the app, which makes it user friendly and personalisable. If you forget that almost all of the content in iTunes is paid, then we can say that the app by itself is one great accomplishment by Apple Inc. You can adjust it in many ways, because it gives you the tools to do it, but at the same time it offers integrated players for video and audio, and also ways in which you can control their functions and working statuses. This makes the app recommended, as long as you are ready to pay for the content. 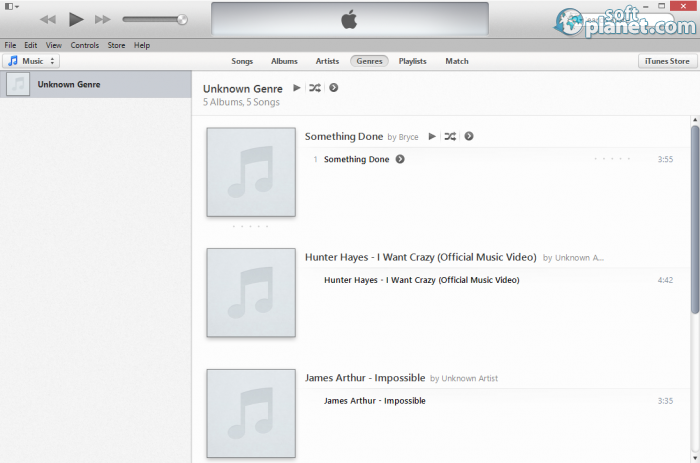 Our security scan shows that iTunes is clean from viruses. 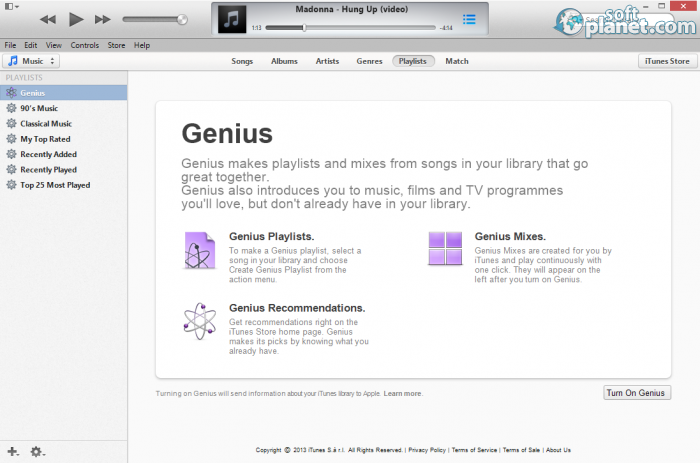 The current version of iTunes has been scanned by our system, which contains 46 different anti-virus algorithms. That ensures that iTunes 12.1.1.4 is 100% safe for your computer.